Are your employees or customers leaving your coffee bar to go elsewhere for their gourmet coffee? A regular cup of joe is certainly sufficient, but many coffee drinkers prefer specialty coffee in the form of espresso and foamed milk. The great news is, with the right gourmet coffee makers, there’s no need to visit a barista for that late afternoon latte. The Java Geniuses at Quality Express Coffee have your gourmet coffee service solution with their selection of state-of-the-art espresso machines and cappuccino machines that feature easy one-step selection. 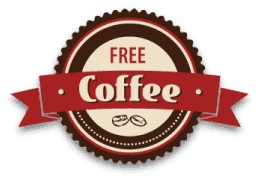 Click on the links below to learn more about the gourmet coffee machines QEC provides. An elegant and essential design meets utmost functionality and usability: just load the capsule, pull the lever and enjoy the unique taste of Lavazza coffee and drinks. Lavazza Espresso Point EL 3000: the excellence of espresso, everywhere. 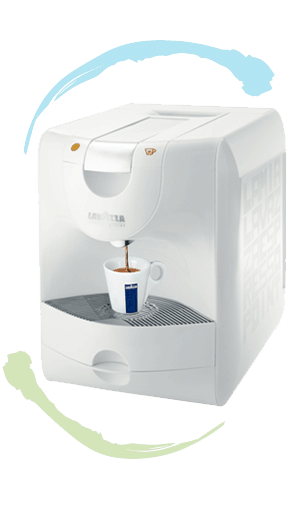 Lavazza EP 2100 is compact, versatile, easy to use and suitable for any environment. Thanks to its functional high-automation capsule system, enjoying your favorite drink has never been this easy. Espresso Point research meets the design by Pinifarina to create a little taste masterpiece. Lavazza EP 2302 is an ideal solution for small offices, professional studios and small communities. The Espresso Point technology allows the preparation of an excellent espresso and many other warm beverages. The elegant design by Pininfarina makes it suitable for any environment. Handy, versatile and compact, Lavazza Espresso Point EP 850 is ideal for small spaces. 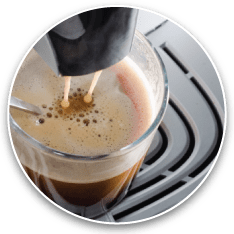 EP 850 is functional and simple to use with single-dose Lavazza Espresso Point cartridges to prepare an espresso that’s always excellent and a variety of other delicious hot beverages. It is perfect for venues aiming to offer a wide choice of blends, also suitable for preparing cappuccino. The Lavazza Espresso Point EP 950 is extremely versatile. Not only does it satisfy the desires of coffee lovers, but its handy cartridge system allows it to make many other hot drinks as well. The Lavazza Espresso Point EP 950 is also extremely simple to use: simply insert the cartridge, press the button and enjoy the drink of your choice for a uniquely relaxing break. Sleek, eye-catching powdered beverage dispenser featuring advanced mixing technology delivers exceptional hot drinks.